The struggle for one’s mother language is perhaps nowhere better enshrined than in the tumultuous events of 1952 in Bangladesh. During the partition of India in 1947, the province of Bengal was divided – the western part became a part of India while the eastern part became a province of Pakistan, known as East Bengal and later as East Pakistan. However, there was economic, cultural and lingual friction between East Pakistan and Pakistan. These tensions were apparent in 1948 when the government of Pakistan declared Urdu to be the sole national language. This sparked protests amongst the Bengali-speaking majority in East Pakistan. 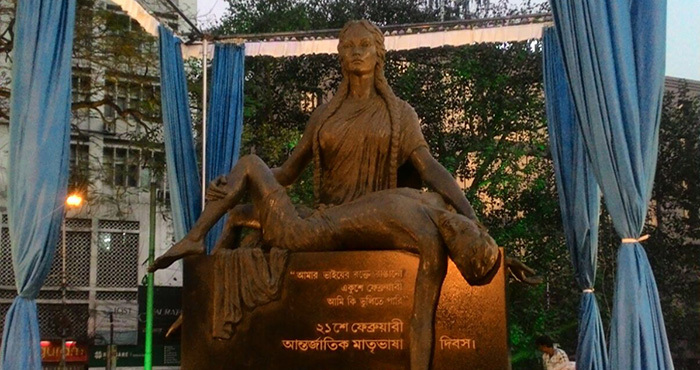 The government outlawed the protests, but on February 21, 1952, students at the University of Dhaka and other activists organised a protest. The police opened fire at the demonstrators and killed four students – Rafiquddin Ahmed, Abdus Salam, Abul Barkat and Abdul Jabbar. The deaths of these, and later, of other students while fighting for the right to use one’s mother language are now remembered on International Mother Language Day. After continual unrest, Bengali was at last declared an official language in Pakistan on February 26, 1956. Following the Liberation War of 1971, Bangladesh became an independent country with Bengali as its official language. On November 17, 1999, UNESCO proclaimed February 21 as International Mother Language Day and it was first observed on February 21, 2000. 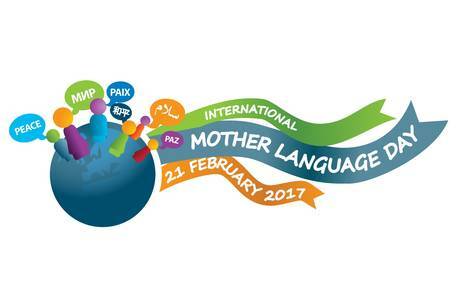 Each year, the United Nations promotes International Mother Language Day through a particular theme – the theme for 2017 is ‘Towards Sustainable Futures through Multilingual Education’. In Bengal as well as in Bangladesh, the day is celebrated with great fervour. Chief Minister Mamata Banerjee and other dignitaries lay flowers at the Bhasha Shahid Smarak at Ekushe Udyan, the park opposite MP Birla Planetarium in Kolkata. Celebrations are also organised at the Bhasha Mancha at Deshapriya Park in Kolkata. Celebrations through various cultural programmes, singing of patriotic songs and peace marches mark the day.